While you may get your movies and TV shows digitally, you probably still have a DVD collection. You can certainly watch these DVDs the usual way, with a DVD player, but wouldn't it be great to add them to your iTunes library, so you can sync them to your iPad or iPhone, and watch them anywhere? Ripping DVDs on a Mac is simple; it takes a bit more time than ripping CDs, but it's not much more difficult. 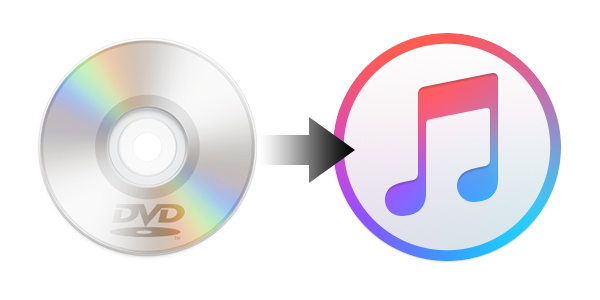 iTunes can't do this, of course, since ripping DVDs involve a gray area of copyright law. Fair use suggests that you should be able to rip them for personal use, but in some countries this is patently illegal. I won't deal with those issues here. If you feel that it's right to rip DVDs you own, then read on to find out how. You could rip DVDs with just one app, but my workflow involves three different apps. I'll discuss all of them in this article. RipIt: This $25 app from The Little App Factory is a boon for ripping DVDs. It can convert a DVD into a .dvdmedia file, which is a sort of package containing all the contents of the DVD. You can view a .dvdmedia file with Apple's DVD Player, or you can rip it with the next tool I discuss. It can also compress files directly, but I don't use it for that (see below, step 1). HandBrake: This free app lets you convert a DVD, or a .dvdmedia file, into a digital video file, which you can then add to iTunes. It's immensely powerful, offering all sorts of options for ripping, managing audio tracks, displaying subtitles, and more. You can also use it to convert videos from most formats to iTunes-compatible files. iFlicks: This $25 app by Jendrik Bertram takes your ripped videos and finds metadata for them — artwork, the names of actors, descriptions, release dates, and more — adds them to the videos, and then adds them to your iTunes library. It can also convert videos from different formats to iTunes-compatible formats. Macs don't come with optical drives any more, so you'll need to buy one, if you don't already own one (unless your Mac is old enough to still have a drive). Any USB DVD drive will work; you don't need anything special, and you don't need to pay the extra dollars for Apple's SuperDrive. Step 1: First, I rip my DVDs with RipIt. I don't use RipIt's Compress feature, because the app only offers limited options for compressing videos. You may find that RipIt is sufficient for your DVD rips; try it out and see. By ripping .dvdmedia files with RipIt, I can also rip a bunch of DVDs during the day, and then set Handbrake to convert them in a queue, letting it run overnight. To rip a DVD with RipIt, insert the DVD into your drive and, when it displays in RipIt's window, click Rip. RipIt shows its progress as the rip proceeds; it takes about 20 minutes or so to rip the average DVD. When RipIt has finished, it'll alert you. Step 2: Launch Handbrake. Select your .dvdmedia file, or your DVD, and choose your options. There are lots of these, and you don't need to know them all, but if you're curious, check out Handbrake's extensive help file. If you click Toggle Presets, you'll see a drawer displaying a number of preset options. I always use High Profile, and I sometimes tweak the audio, and the subtitles, if I'm ripping a movie in a language I don't understand. When you've adjusted everything, click Add to Queue. Also, in the Format menu, choose MP4 file, so you can add this file to your iTunes library. Step 3: If you want to rip multiple episodes of a TV show, or a movie and bonus features, click the Title menu and select other titles. Each time you've selected one, click Add to Queue. Each title is ripped as a separate file. Step 4: Click Start. Handbrake shows its progress at the bottom of its window. You should notice that your Mac starts working very hard; the fan should quickly go to its maximum speed, as Handbrake uses all your CPU cores. You may find this annoying, which is why I generally rip .dvdmedia files, and then convert them overnight with Handbrake. Depending on your Mac's processor, it may take quite a while to rip a DVD. For this article, I've ripped the extended cut of Almost Famous, which runs for 2:43. It took about a half hour to convert the film on a retina iMac, but with a slower Mac, it might take an hour or more. Step 6: Click Start to have iFlicks process the file. 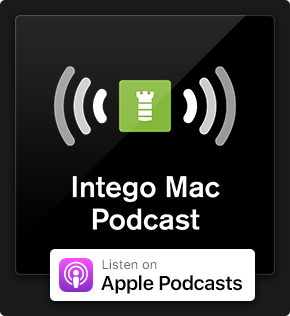 It adds the metadata, and then adds the file to iTunes; this takes a couple of minutes. If you have added files in other formats to iFlicks, the app converts them to .m4v files and then adds them to iTunes. Step 7: If you don't use iFlicks, add the file to your iTunes library manually. Find the file, press Command-I, and click the Options tab. By default, iTunes adds all videos as Home Videos. Change it here to either Movies, Music Videos, or TV Shows, according to the type of video it is. Your choice determines whether the file is stored in your Movies, Music, or TV Shows library. Ripping DVDs can be time-consuming, but with the workflow I suggest, you can rip your DVDs before actually converting them, making the process a lot easier. It's a great way to digitize your DVD collection, so you can have access to your files more easily. And, of course, to free up some of the space in your living room. 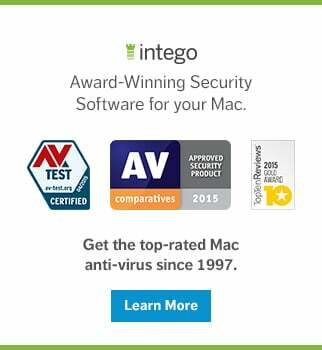 This entry was posted in How To, Software & Apps and tagged DVDs, Handbrake, iFlicks, iTunes, iTunes Library, Mac, RipIt, Ripping, videos. Bookmark the permalink. Not a paid spokesperson, just a happy customer. How do you rip protected DVDs by Disney? Whenever I use Handbrake, it rips only a portion of the movie. So I downloaded the software on a trial. I converted a harry Potter, but the picture could only go to 780….I didn’t find where I could do 1080 and have the picture not grainy…..
HandBrake, the famous open-source multi-platform video transcoder finally released its version 1.0.0 (1.0.1). With the new version, users can now use Handbrake 1.0.0 to rip DVD movies to more presets, devices and file types. 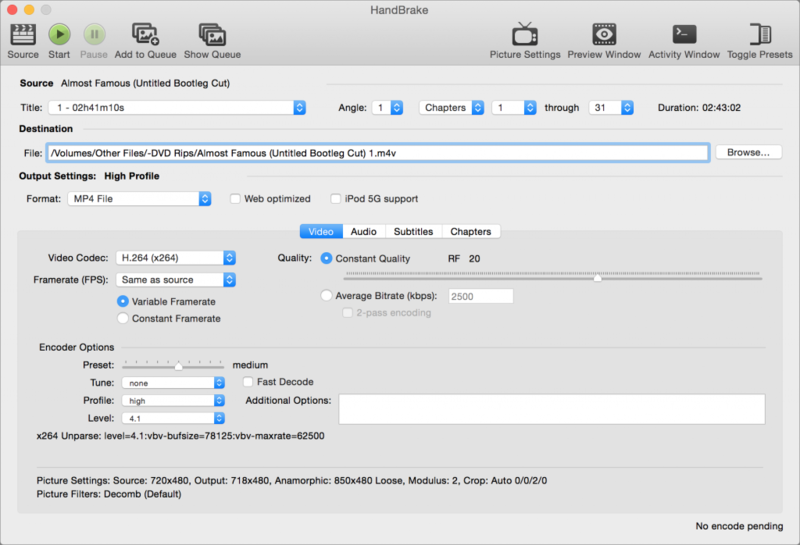 To be specific, the released HandBrake 1.0.0 includes settings for the newest iPhone, iPad, Android smartphotns & tablets, streaming devices and consoles; new Matroska presets with VP9 video codec; options to select DVD titles and chapters. Or for those who don’t want to bother, they can give up using Handbrake to rip DVDs with protections and switch to other DVD ripper alternative to Handbrake 1.0.0 like Pavtube BDMagic. Hi Kirk, as far as I’m concerned, HandBrake is the most powerful one to rip DVD. It even allows me to convert video easily. Actually, Handbrake and VLC is free to rip unprotected DVD but when it comes to DRM-ed DVD, TuneFab DVD Ripper is the utmost right tool that you need. I am also a user of Handbrake, but I am really disappointed with it now. Now that the encrypted DVD is released, handbrake seems to indicate that there is nothing to do. I am now ripping three DVDs with handbrake, and only one is successfully captured. I tried a new tool called wonderfox dvd ripper. Although this product is not as famous as handbrake, I think its fast ripping speed and 100% success rate are better than handbrake.